any tips on a 545ci? Rich, which lobes from comp do you like to use? How much hp/tq you after? would like to see 800 hp and 750 to, race gas hopefully probably produce a little more but with 12.1 compression it would need race gas, what compression can you get by with on pump gas? and if you go with a big roller cam it will want high compression correct?, appreciate everyone's input, built some Cleveland's back in the 80's. I’d think that a Magnum T56 should live behind your 545 (I’ve got a Magnum to go behind my AFR headed 545) but consistency on the drag strip would suffer. As for street driving a C6 would mean a higher cruise RPM with no overdrive so that’s something to consider also. With the right cam and combo 12.1 will run on pump gas, give KAASE a call he will set you in the right direction. 800hp in a cobra will be a handfull, but sure will be fun. If you have e85 readily available in your area, run some compression and feed it e85. It's much cheaper than 100+ octane jug or barreled fuel. I built a 13.x:1 408 Windsor and run e85 in it with no problems through a Holley Terminator throttle body setup. I would run a 4L80e in the car. Heavy? Yes, but durable and adds a lock-up converter and overdrive that the c6 doesn't have. I have built many 4L80s and they are excellent units. Can't offer any advice, but why a BBF over the S/C 4.6l in a Terminator? 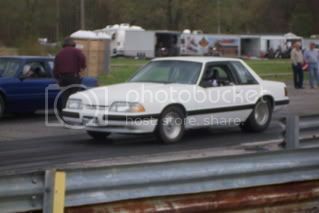 800hp is easy with a stock 4.6. Just add bigger blower of choice and a few supporting mods. Did you get the car with no motor/blown up motor? I'm building a similar combo with similar goals. What do you mean by this? I will have 10.1:1 compression with ported SCJ heads and want to run on straight 93 octane. Last edited by cletus66; 04-05-2019 at 12:03 PM.